Refrigeration systems can account for as much as 40% of some businesses total energy consumption (quoted by the Carbon Trust). The theory of refrigeration is simple… by maintaining the temperature of the ‘air’ inside the cabinet at a preset level it is anticipated that the food will also take on the same temperature. However, because air has a completely different thermal characteristic to almost all food products it is quite normal for the owner/operator to routinely take temperature samples of the stored food products via a hand held probe to ensure food is correctly preserved. So… we know that ‘air’ temperature is not an accurate measure of ‘food’ temperature. Air entering a refrigerated space has very little thermal energy compared to the significantly greater thermal mass of most food products, and yet each time a door is opened and warm air comes into contact with the thermostat, there can be a fairly immediate response which leads to the compressor being energized even though the temperature of the food has not changed. SMARTech energy has a SMART solution – CUES which is a range of temperature monitoring products designed to improve the efficacy of refrigeration systems by up to 40%. 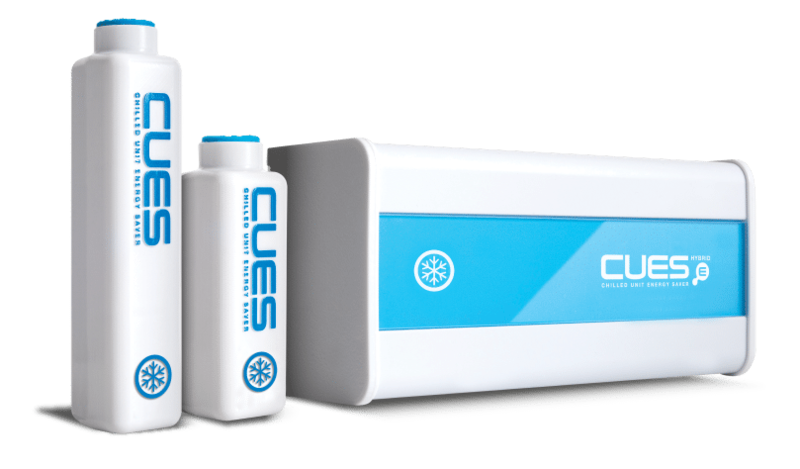 CUES will also improve equipment performance and reliability – at the same time providing more accurate control of the temperature of stored food products.